The Fourth of July is quickly approaching! The fourth is one of our favorite holidays for two simple reasons, it combines our love of the warm weather with our favorite pastime-eating! There are so many easy patriotic themed recipes that are perfect for celebrating Independence Day. Still planning your festivities? 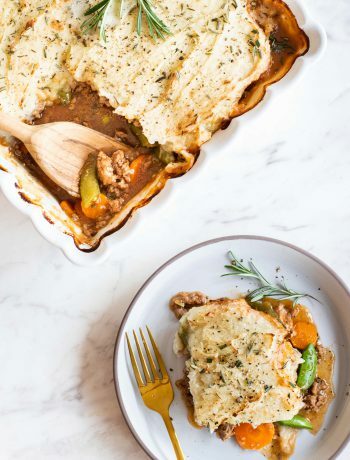 Not to worry, below we’ve compiled some of our favorite go-to’s that we can’t wait to make for the upcoming holiday weekend. Frozen bananas? 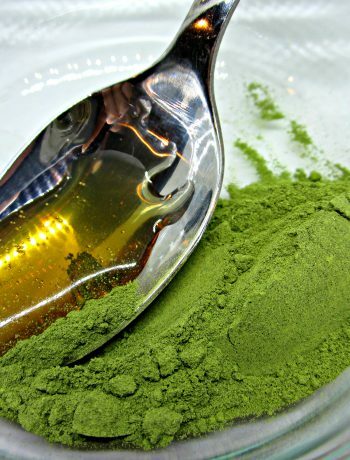 Sounds crazy but these tasty treats are a delicious and healthy alternative to ice cream or popsicles. Simply microwave some chocolate chips in your Microwave DrawerTM and dip the bananas into the melted chocolate for an easy dessert that is sure to please. 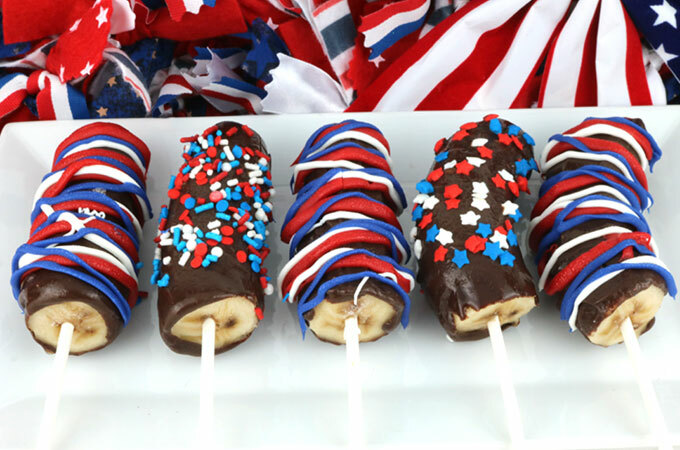 As an added bonus this recipe allows us to customize these treats into patriotic pops by melting red, white and blue candies and drizzling on top of the chocolate-covered bananas. Yum! In need of a fun and patriotic snack to tide party-goers over until the main barbecue event? 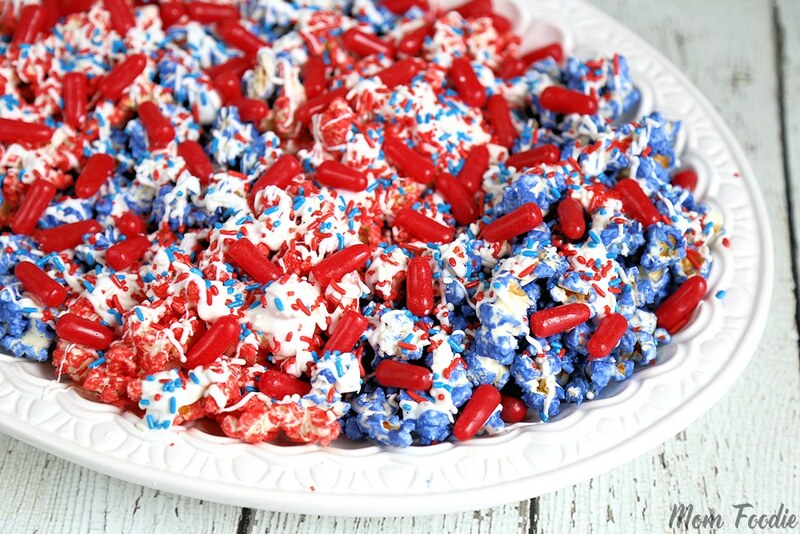 Then this Fourth of July themed popcorn is the perfect solution! Not only is it super simple to make but it combines our favorite snack (popcorn) with sweet treats like chocolate, candy and sprinkles! Make with a bag of Orville Redenbacher’s popcorn in Sharp’s Orville Redenbacher certified Carousel Microwave, for the perfect patriotic popcorn experience. To check out even more fun popcorn recipes and get an exclusive look at Wonder Woman movie trailers, visit the Orville Redenbacher’s Wonder Woman experience. 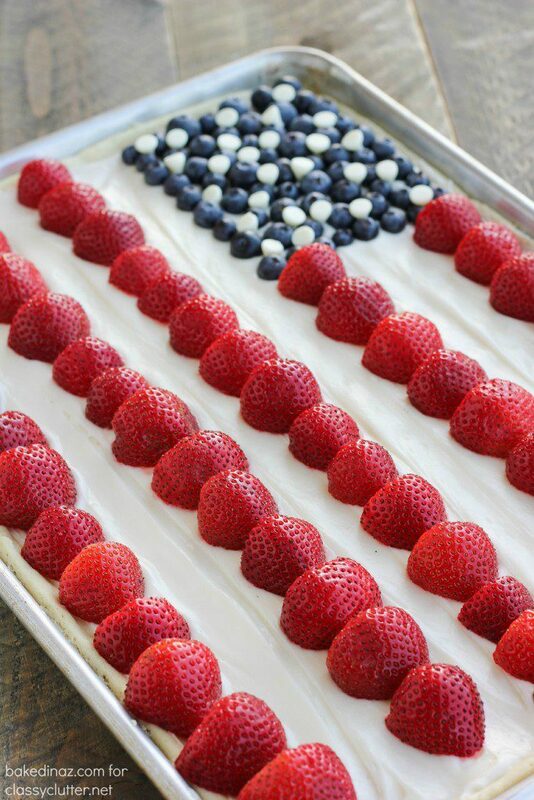 When it comes to a patriotic dessert for the fourth, nothing beats an American Flag Fruit Pizza. The best part about this dessert? The fruit toppings can be arranged in any pattern you choose. 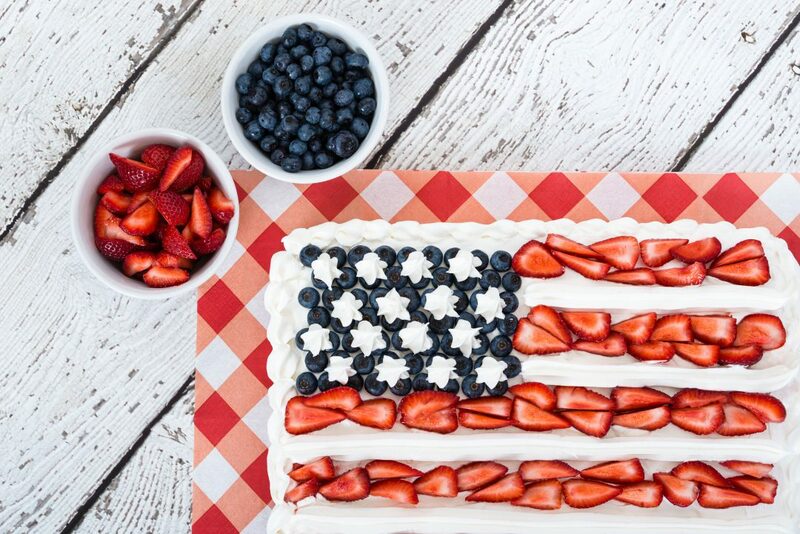 Of course, for the Independence Day Holiday we recommend going with a classic American Flag design, using fresh blueberries and strawberries for patriotic pops of color. We can’t wait to kick off the celebrations this weekend. 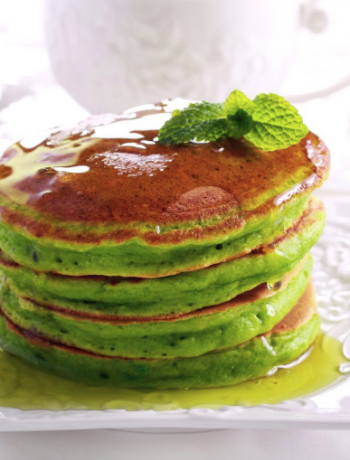 Have any fun recipes that you will be making this Fourth of July? Let us know in the comments below!